With regard to evening fishing, there is no doubt that those rods who were prepared to have an early (or very late) supper, have been well rewarded. This was particularly the case in the early part of July when the hot weather still persisted. In those bright conditions and high water temperatures trout took cover and were difficult to spot and reluctant to take until very late in the evening. Then in the last half hour before dark many of our members had that usual frantic scramble – changing fly patterns, and sorting out the rises of small grayling from the often very quiet movement of takeable trout sipping caenis or small sedge on the surface, or taking hatching olives just under it. A torch becomes as important as a fly box – even if only to unscramble the combination padlocks at the end of the evening! But in mid-July came the rain and the present much cooler and unsettled conditions – giving a welcome and refreshing change which has improved daytime fishing no end. But there is still a marked late evening rise for those prepared to make the effort, although I know you will inevitably encounter caenis or “Anglers’ Curse”, the smallest of all our upwings. 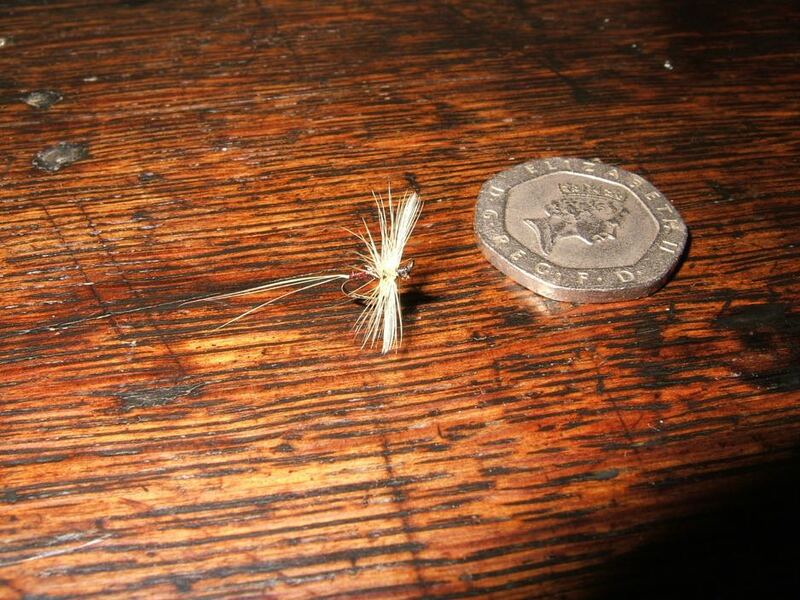 There have been many brave attempts by fly-dressers to imitate this fly, and I will enclose a photo of an exquisite little pattern supplied by one of our committee members, tied by Hardys in the 1930s. But to be truthful a very small Black Gnat (size 18 or even 20) will often do the job just as well – silhouette rather than exact imitation is what matters when it is nearly dark. But we are also seeing some good Blue Winged Olive hatches, although these seem to be very localised at the moment. Charles Tarver, the author of our Guide to Newcomers (published on our web site) always used to say that our fishery comes “on song” at the same time as the Glorious Twelfth of August, and one of our previous Chairman, Murray Whiteside, insisted that the final three weeks of the season always produced by far the most interesting fishing. So there is still much to look forward to – and I will be very interested to see if those predictions are accurate this season. Finally, just to remind you: I will be on holiday from 25 August to 4 September: please contact the Secretary if any problems arise. Caenis (size 20) spent pattern.